Student membership hits an all-time high with 653,359 members in 8,568 chapters. Convention delegate recommendations to alter Official Dress and the opening ceremony get approval from the National FFA Board of Directors. The 90th National FFA Convention & Expo in Indianapolis has a record attendance of 67,006 members, advisors, supporters and guests. 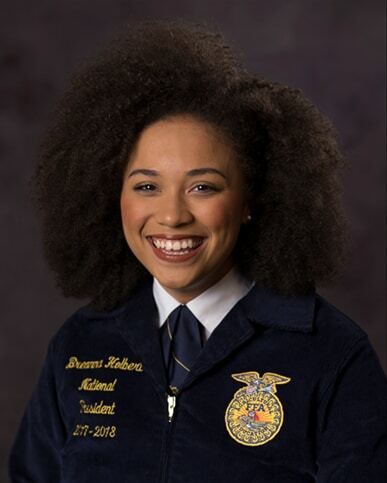 Breanna Holbert from California is the first African-American female to be elected national FFA president. Alumni membership hits an all-time high with 344,239 members in 2,051 chapters.